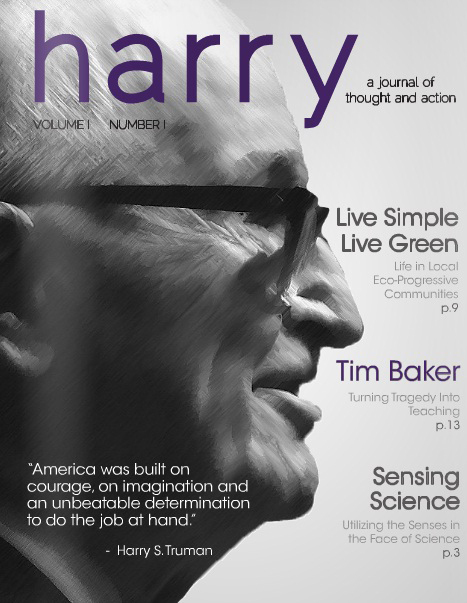 A new publication titled Harry: A Journal of Thought and Action highlights the many kinds of innovative activities, creative endeavors and cutting-edge ideas emerging from Truman State University. The reporting is done entirely by Truman undergraduate students under the mentorship of Marilyn Yaquinto, a Pulitzer Prize-winning journalist and an assistant professor in the Department of Communication. Students in Truman’s News Reporting and Feature Writing courses learn to identify stories, interview subjects, do extensive background research and develop stories that are often much longer than traditional newspaper articles. They have the added responsibility of developing multimedia content to accompany these stories for the web-based journal. Many of these students are cutting their teeth with their very first stories while writing for Harry. 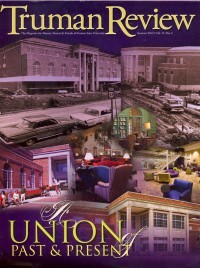 More experienced students are also responsible for the cover art, the magazine layout and the editing. Following in the tradition of award-winning publications such as the The Index and Detours, Kevin Minch, director of the Truman Institute, hopes this venture into online publishing will be an equal success. A subscription to Harry is free. For more information or to add your name to the mail list, visit institute.truman.edu/harry.asp.